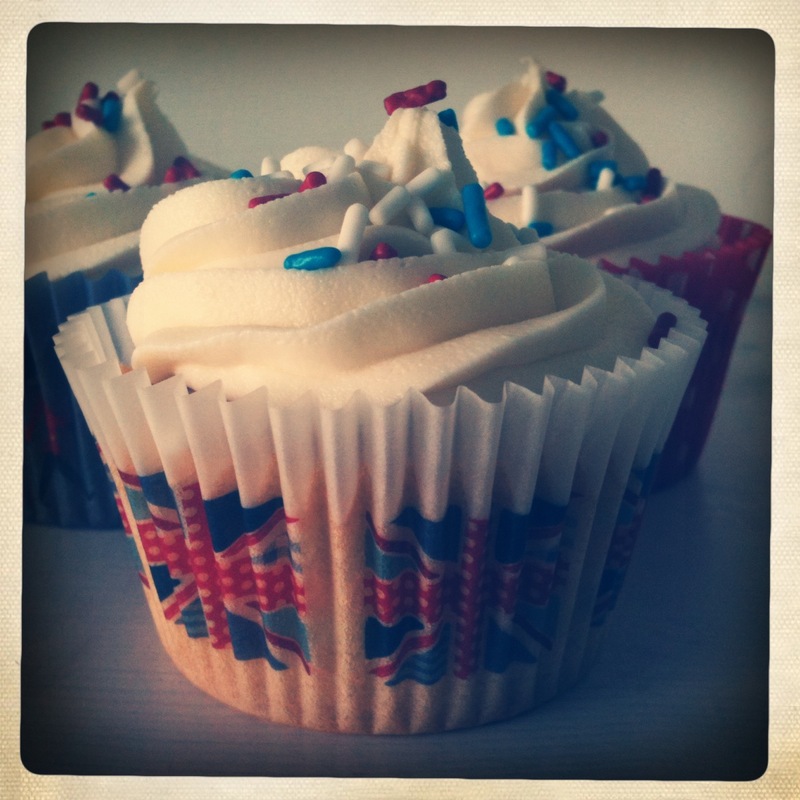 This entry was posted on 15/04/2012 at 7:52 pm and is filed under Baking with tags Baking, Biscuits, Cakes, Cookies, Cupcakes, Dan Lepard, Food, Sainsbury's. You can follow any responses to this entry through the RSS 2.0 feed. You can leave a response, or trackback from your own site. 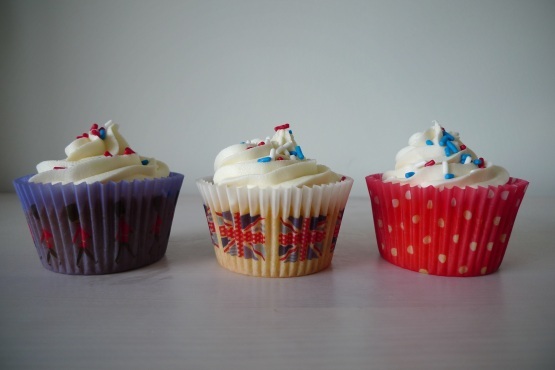 Those cupcakes couldn’t be any more British. 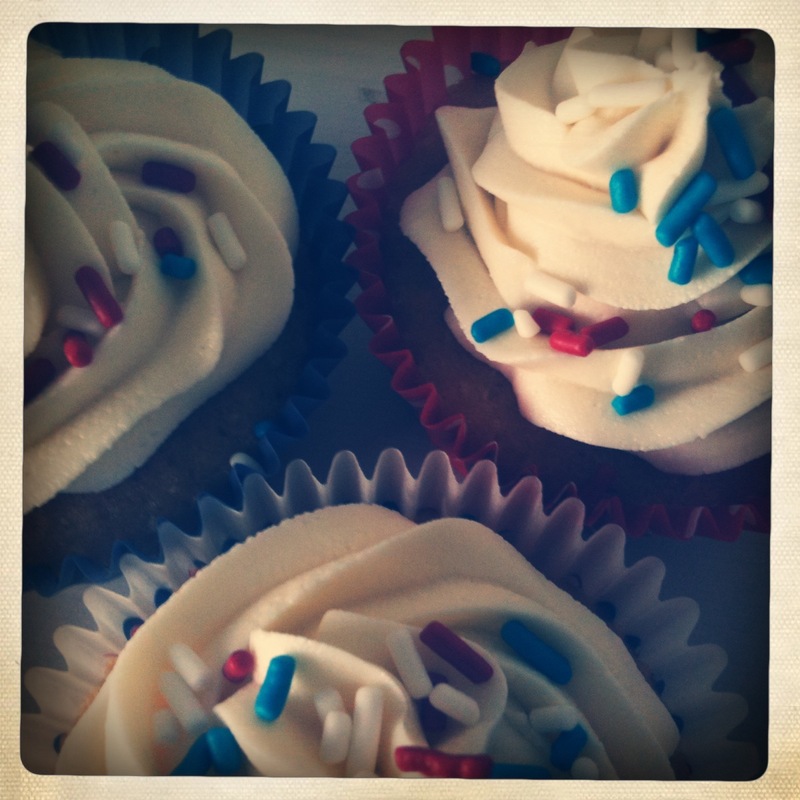 The red, white and blue sprinkles just adds the final touch.